Memtool is a new task manager for your iPhone/ ipod touch available in Cydia via the iSpazio repository from developer NetDragon. When you fire up MemTool the default page you see shows you a graph with the total memory available (128mb) and the memory in use. By pressing the Clean button the application will attempt to free as much ram as possible. ContactFlow is a new application in Cydia that will allow us to show our contacts in coverflow style. Dashboard is still in development but the demo looks promising. Dashboard is best to compare with the widgets of OsX and windows. Hit the break for the video. A new beta of BiteSMS 3.1 has been released in the cydia repository of BITESMS. Version 3.1 adds a whole list of new features and fixes some bugs users reported on biteSMS 3.0. Hit the break to see the full list. 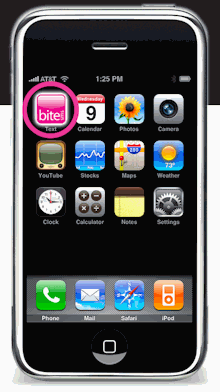 iPodPop is a new mobile substrate extension that enables the ipod popup feature, to use with double-tap at all times, even when the ipod application is not playing. Want to start your music but don’t want to leave your current application? Enable the iPodPop function in your Preferences. Stroughton Smith is working on the new version of Stack. Stack resembles the functionality of the OS X stack. Check the video for a demo of the upcoming stack to be released in Cydia.